Here’s where you need to go, to download the free pattern at ChellyWood.com. 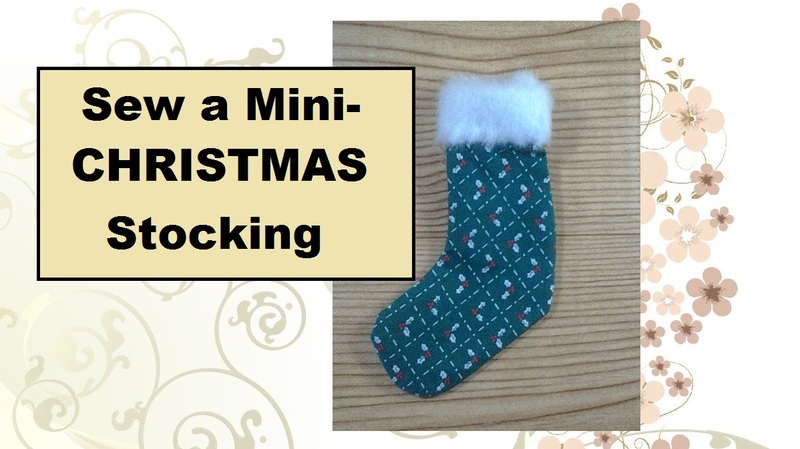 These Barbie-doll-sized stockings would be great to stuff with a simple candy cane, M&M’s, or one of my Christmas poems. So be sure and check back here next week to see the tutorial. ChellyWood.com offers lots of free, printable doll clothes patterns like this. I’m posting the second of my Secret Santa / Silly Santa poems for holiday gift giving. This one has a very silly, comical theme. Hope you like it. Look back at my last post for a list of ways to use your poems as part of the present exchange for secret pals. If you need detailed instructions, please look back at Monday’s post. I wrote out the instructions there in detail. Oh well. Be of good cheer! With his big red nose. Ain’t that always how it goes? Since today’s gift bag only contains one of the two Santas that came with my Lindt chocolates, I have good news for you… You’ve got to EAT that last chocolate Santa! Bon appetit! One more thing, if you’re an English or reading teacher, you should visit my sister site, English Emporium, where I offer journal writing prompts. Have you seen these adorable chocolates from Lindt? For this week’s creative and super-inexpensive Secret Santa gift, I bought two of these chocolate sleigh sets from Lindt. I’m going to pack two reindeer in a gift bag at a time along with a clever poem I’ve written. Since tomorrow is Friday (and the last day of this theme), I’ll be putting one of the Santas in my miniature gift bag with a much longer, conclusive poem. Check back for that one! I’ve written a brief snippet for each reindeer plus Santa. So on Monday my Secret Santa was given a chocolate Dasher and Dancer; on Tuesday, she got a chocolate Prancer and Vixen, etc… On Friday I’ll be putting one of the Santas in my miniature gift box with a much longer, conclusive poem. If my scanned pattern is too small to fit your reindeer, try enlarging it on a photocopy machine, but don’t go too big; otherwise, it won’t fit on the inside of the Christmas cards. I’ve written a brief snippet for each reindeer plus Santa. So on Monday my Secret Santa was given a chocolate Dasher and Dancer; on Tuesday, she’ll get a chocolate Prancer and Vixen, etc… On Friday I’ll be putting one of the Santas in my miniature gift box with a much longer, conclusive poem. I’ve decided to go with a theme this week for my Secret Santa/Silly Santa. Have you seen these adorable chocolates from Lindt? (Click on the link to see what I’m talking about.) They come with four foil-wrapped chocolate reindeer and one Santa. I bought mine at the local grocery store, but I bet they’re available at Target, WalMart, and some of those stores that go whole-hog for the holidays. Call around and see if you can find them. For this week’s creative and super-inexpensive Secret Santa gift, I bought two of these chocolate sleigh sets from Lindt. I’m going to pack two reindeer in a gift bag at a time along with a clever poem I’ve written. Print the pattern from above and cut it out, using the scissors. The craft knife is helpful for cutting out the center of each handle, but you can get by with really sharp scissors. Lay the pattern on the inside of an old Christmas card and trace. Make sure you’re tracing over the inside of the front of the card, so the picture on the front of the card will appear on the outside of your gift bag when you’re all done. If you have a light box, that might help you position the pattern so your card’s picture is strategically placed right on the front of the bag when it’s all done. Cut wherever there’s a straight line on the pattern. Where you see a dotted line, use your scissors to score (just barely indent the paper) and fold. See my photo at the bottom of this post for a reference. Use tape to hold the little bag together. When you’re all done making your miniature bag, you can line it with small pieces of crepe paper to look festive. Two reindeer will fit snugly in this bag. I’m going to be placing two reindeer in each bag along with a very short poem about those reindeer. Check back with me on Tuesday through Friday this week to see the other poems. I’ve written a brief snippet for each reindeer plus Santa. So on Monday my Secret Santa will be given a chocolate Dasher and Dancer; on Tuesday, she’ll get a chocolate Prancer and Vixen, etc… On Friday I’ll be putting one of the Santas in my miniature gift box with a much longer, conclusive poem. I couldn’t get the photo of my work table (displaying a finished gift bag) to load. So here’s a link to the picture. And here’s a link to my scanned pattern. If it’s too small, try enlarging it on a photocopy machine, but don’t go too big; otherwise, it won’t fit on the inside of the Christmas cards. Here’s a fun idea for your Secret Santa teacher pals! Build a miniature box out of old Christmas cards, fill it with chocolates, and insert a holiday poem. I’ll give you just what you need, right here in this blog post. What’s needed? Two Christmas cards, scissors, and tape… That’s all! Make sure your name isn’t written inside the card, or your role as Secret Santa will be a secret no more! Be sure the top and bottom pieces are of approximately the same size card. You can trim off excess to make them equal in size, if you need to. When taping the sides together, be sure and put the tape on the inside, so it looks attractive. If the boxes are too identical in size, and you find you can’t fit one inside the other, then loosen the tape on one. The looser-taped one will be the lid.